Microscope World Blog: Kids Science Project: What is in the Water? Collect several small jars of water from a local pond, the ocean, your local pool, your sink and if possible, a muddy marsh. Label each jar of water and put the date you collected the water on the jar. 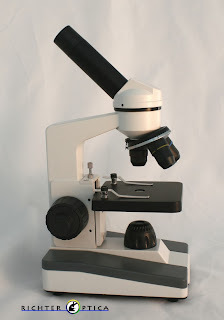 Set up the microscope and make sure you start using the lowest magnification of 40x. Place a small drop of water on your depression slide and put a cover slip on top. 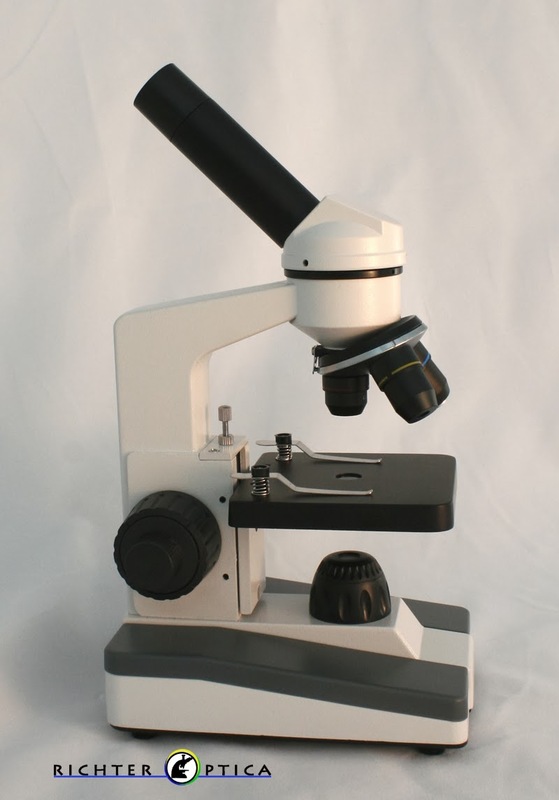 Once you have the slide under the microscope you may need to move it around a bit in order to view the sample. Once you have the slide in focus at 40x, move up to 100x and 400x magnification, where you will be able to view bacteria or creatures swimming in the water. Not sure what you see? Here are a few examples of creatures or microorganisms that you might view under your microscope. Protozoa - these have a tail (called flagella) that can sometimes be hard to see. Euglenas - these are found and fresh water and salt water and typically look like long, somewhat round tubes with a flagella (tail). They are often green in color. Amoeba - microorganisms that are a genus of Protozoa. Amoeba move with false feet and they surround their food in order to eat it. Algae - usually yellow, green or red, algae are sometimes found in chains. Bacteria - these are typically rod shaped. Worms - depending how mucky the water was where you found your water, you might even have some small worms moving around in your water. If you have a microscope camera, capture images to share with your class or so you can compare your findings with future research. If you don't have a microscope camera, draw a few sketches of the organisms you found in your water. Which type of water had the most organisms? Did you find any surprise creatures? 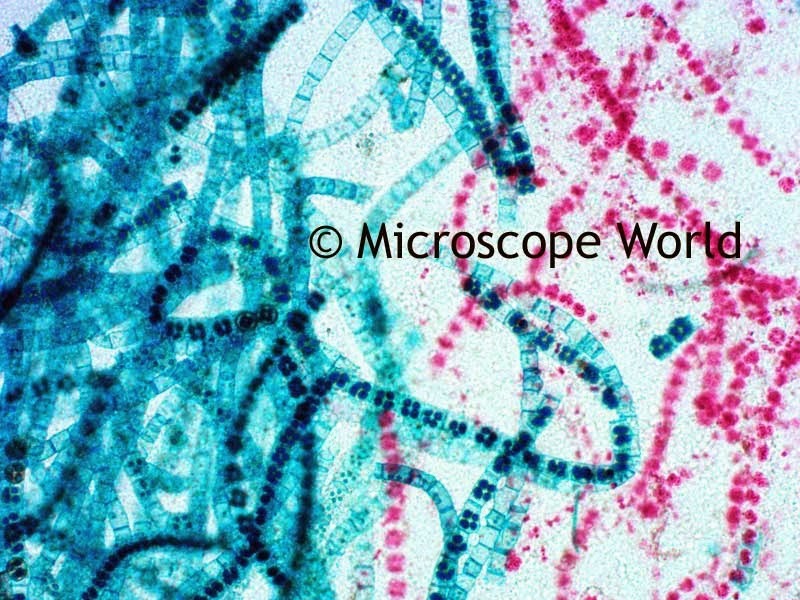 Blue Green Algae captured under the microscope, 100x.